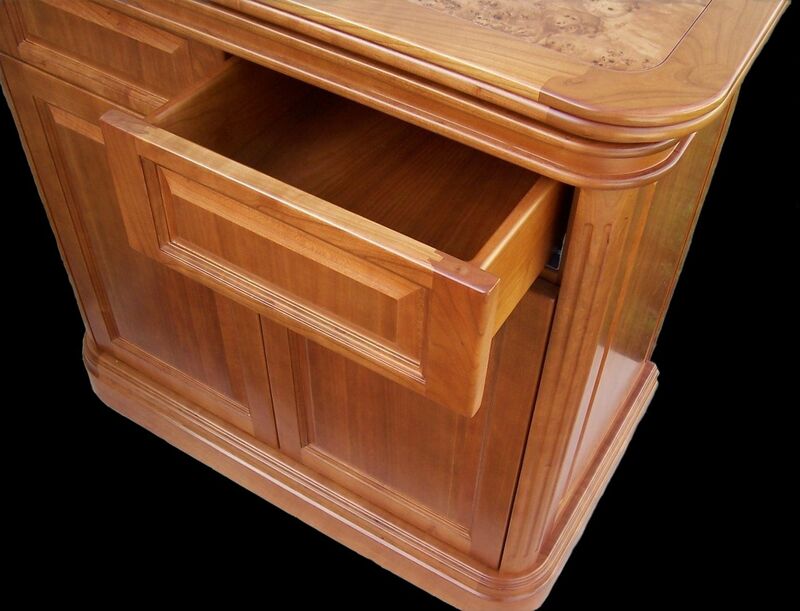 Yacht furniture for personal vessel. 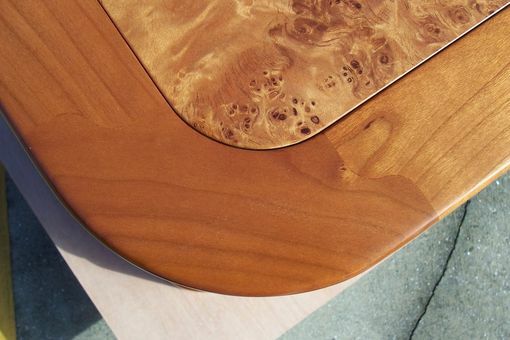 Cherry burl top inlay with "S" miter corners. Full filled grain satin finish with a 40% sheen. This dresser can be fully customized to meet your needs.